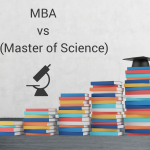 Deciding whether to do a Master’s in Finance or an MBA can be quite difficult because these programs are related degrees and lead to the same kinds of careers (in economics and finance). Both programs prepare students to handle positions at the administrative level in business and finance industries and offer high-paying career opportunities in the future. However, there are some differences between the two in terms of tuition costs, length of study, and job and networking opportunities. Choosing which one to take can be challenging. 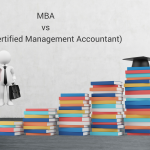 The MBA is a common business graduate degree, covering a broad range of topics (such as accounting, economics, statistics, communications and organizational processes) and sometimes offering a finance specialization. The Master’s in Finance focuses on the development of innovative leadership in financial management with courses related to accounting and management. Both programs require similar GMAT scores. However, MBA applicants are usually older as they are required to have at least three years of work experience. Many top ranking universities offer MBA programs as traditional graduate degrees. So which is better? Neither is better than the other. 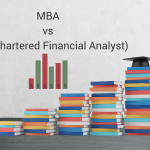 The main difference is that the MBA offers broader skills and knowledge in business and helps graduates apply them in many different areas, while the Master’s in Finance programs are more finance-specific. 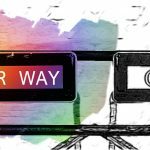 The individual’s career goals should determine which program to choose. 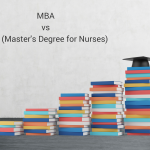 Those who are interested in broader business management issues should do an MBA while those who want more finance-specific jobs should do a Master’s in Finance. MBA programs prepare students to work in different fields, in different positions such as financial managers and controllers, and in commercial banks dealing with trusts, mortgages, lending and investments. Firms offering finance-related products and services like hiring graduates with Master’s in Finance degrees. While MBA degree holders generally receive higher pay, finance programs cost less than MBAs as the degree can be obtained more quickly. A Master’s in Finance degree only takes a year to finish and is therefore more appealing to students who want to boost their careers in a short period of time. So the choice mainly depends on one’s career goals. 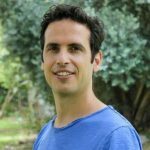 CEO & Founder of examPAL. 21 years' experience in the field of test prep. Has written dozens of books and courseware, and personally taught over 4,000 students.